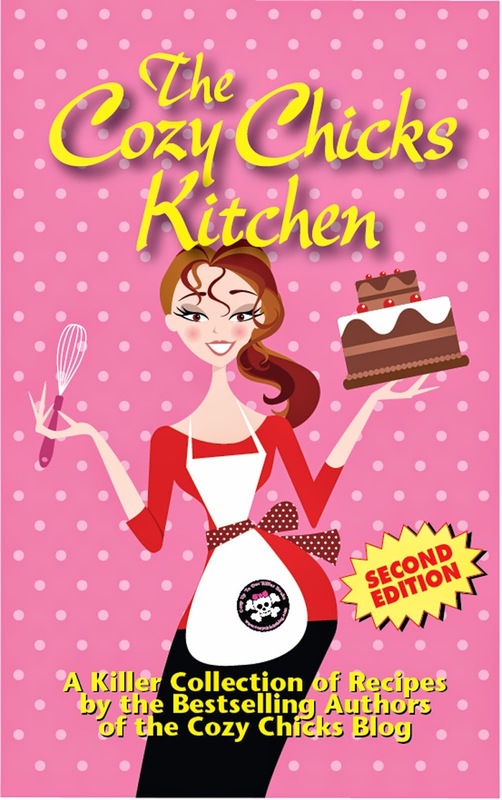 Cozy Chicks: New Year, More Books! All the Cozy Chicks will have new books this year--and that is great news. Some of us will have more than one. That's not me. It's an energy thing. Writing is a very labor intensive endeavor and one book a year is about all I can manage. But in August, The Cat, The Sneak and The Secret will be released. My editor loved it and I sure hope readers do, too. But there is additional good news. I have a new contract for two more Cats in Trouble mysteries after the August release and I am busy writing up a synopsis. I will be doing a lot of thinking, in other words. Then comes the research, the first 50 pages and a complete reworking of the plot after that. That's my method and I'm sticking to it! It doesn't end there. 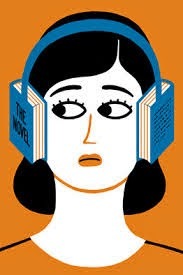 Audible has picked up not only the 2014 book, The Cat, The Vagabond and The Victim, but the next three books as well. Thank you, Amazon/Audible, for making these titles available to everyone. Audio books have always been very important to me for many reasons. As for when the 2014 book will be out on audio, your guess is as good as mine. Audible gives no warning to me! All of a sudden it's just there. So stay tuned. I am so thrilled I will get to write in such a nice, healthy home for the first time in a long time. The last 3 books were partly or completely written in the rent house from hell. I was pretty down in that awful place and now my world is much brighter! Don't know if that will make my brain cells fire better, but I hope so! For those readers in the South Carolina area, I will be signing at Fiction Addiction in Greenville on Tuesday, January 13th at 6:30 and this includes a panel discussion with 3 other local writers. I am told there is a $10 door fee but that can be used toward store credit. I might see some of you there!! Yay! for a new one! and a possibility of more new ones, from you! Yay! for a nice safe home, in which to write! and Yay! 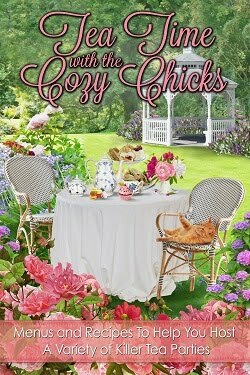 for lots of more Cozy Chick's books also! Mrrrew Hooo! Congrats! That is good news. Enjoy your new home, the wait was long! 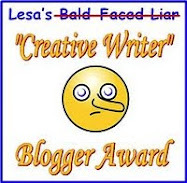 Congrats on the new contract Leann, I so look forward to reading them :) An English blogger I follow has just discovered your books on Audio, and she really loves them as well. So she will be happy to read this. Congratulation - on your home and your books! Yay! Congratulations! I love this series. Congratulations, Leann! Such good news! Thanks Malka! It will be a great year! Thanks so much Aurian. Yes, I am looking forward to "vagabond" coming out on audio. I believe the others will be available as soon as the print books are released but this one seems to be taking forever! Thanks so much Patricia! It all happened at once, like a nice big Christmas gift! Congratulations on your new contract. Your books are great. 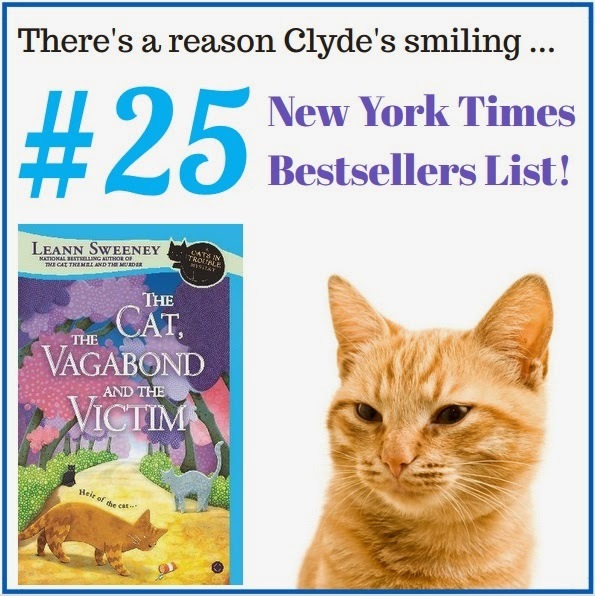 Congratulations on two more Cats in Trouble books. Yay! Thanks Diane! Hope you had a great birthday!! Thanks Dru! I am very happy! Congratulations! You deserve some good news! I'm looking forward to the new books over the next few years! I am so glad to hear that there are going to be more in the Cats in Trouble series. I LOVE that series. And as you know (since I keep bugging you about it - LOL) I am thrilled that the audio of the last book is on it's way in audio - hopefully soon - and that the others will also be in audio. That is my format of choice, but with some series (like yours) I also buy the Kindle versions of all of them. So here's hoping that 2015 will be the year that things fall into sync for you - both with your books and your health. And thanks for sharing your wonderful talent with us all. Such great news, Leann! You have captured the hearts of so many readers. Glad it will continue to be read AND listened to. Meant to say glad the series will continue to be ... etc! Blogger was too fast for me to edit. Leann, you made my day! Love this series! Blessings to you and your family (and that new kitten to come -- Don't tell Phoebe!). Do you have your craft room set up in your new house yet? Or too busy writing? Congrasts Leann. Wonderful news and so deserved!!! One book a year would probably keep lots of writers busy. I assume the books aren't on C.D.? I see our library doesn't have them in that format. I might listen to one if they had it. I don't listen to many books on tape or C.D., but I have some at home (especially on cassette tapes, some of which I got from library sales). It's easier to just pick up a book to read. Can't do Audible and it's not free. I think I have the first two books in the Cats in Trouble series. Speaking of them, my cat Suzie really got in trouble one night. She likes to sit on the stove and knocked a jar of grease onto the floor. It broke and was a real mess! I used lots of paper towels and some Dawn to clean it up. Glad you're in a healthier home. We could all use one.